Here are MHT CET Result 2018 live updates for all Maharashtra state students. We have started reporting live for result of MHT CET 2018. 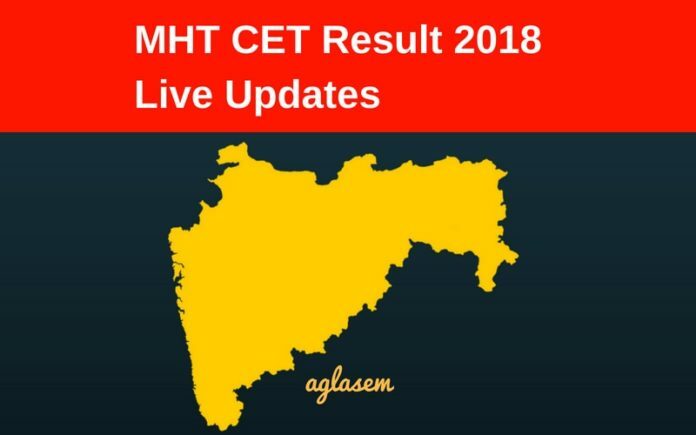 This is a minute by minute update of the MHT CET 2018 Result. Be the first to know about declaration of result, merit list, score card, counselling, cut off, and toppers. Check MHT CET Result and all other details related to it here. 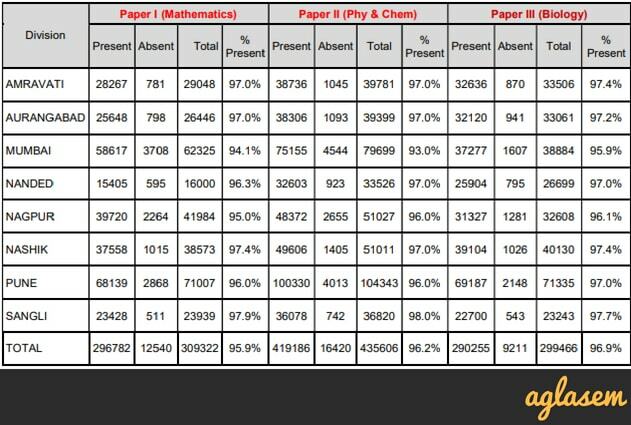 12:15 PM: Overall attendance in Maharashtra CET 2018 was 96.9%. Highest was from Sangli with 97.7%, followed by Amravati and Nashik at 97.4%, then Aurangabad at 97.2%. Students from Nanded and Pune appeared with attendance of 97%. After that Nagpur showed attendance of 96.1% and Mumbai with 95.9%. 12:00 Noon: The total number of candidates who had registered to appear in MHT CET 2018 was 435606. 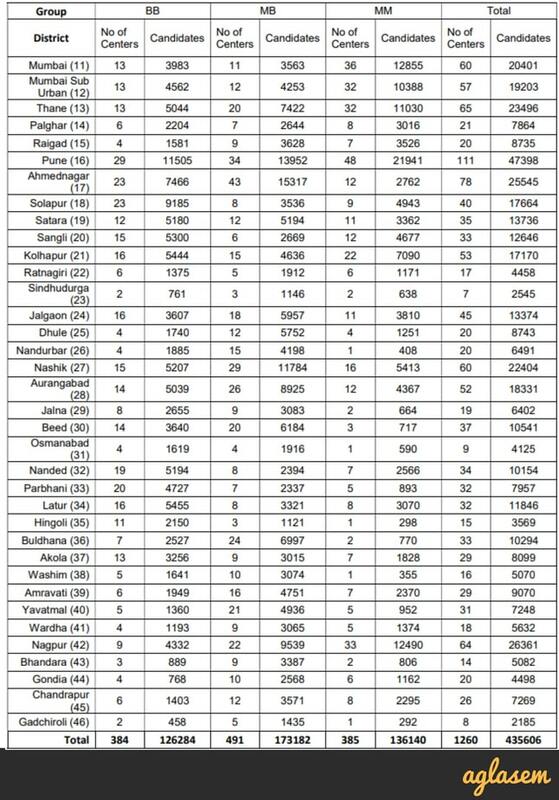 District wise data was provided by DTE Maharashtra for Mumbai, Mumbai Sub Urban, Thgane, Palgarh, Raigad, Pune, Ahmednagar, Solapur, Satara, Sangli, Kolhapur, Ratnagiri, Sindhudurga, Jalgaon, Dhule, Nandurbar, Nashik, Aurangabad, Jalna, Beed, Osmanabad, Nanded, Parbhani, Latur, Hingoli, Buldhana, Akola, Washim, Amravati, Yavatmal, Wardha, Nagpur, Bhandara, Gondia, Chandrapur, Gadchiroli. 11:45 AM: In the General category, PCB, Abhijeet Uddhavrao secured first position in the state with 188 out of 200. In PCM, Abhang Aditya Subhash got the first position in the state with 195 marks out of 200. 11:30 AM: In this test, in the PCB category, from reserved category, Prashant Vayal secured first position with 182 marks out of 200, whereas Abhang Aditya Subhash, in the pcm category, got first position with 195 points out of 200 in the PCM category. 11:15 AM: Mokashi Janhavi Yogesh got 183 marks out of 200 in the PCB category, and in the pcm group Gandhi Mona Bhupendra secured first place with 189 out of 200 marks. 11:00 AM: MHT CET 2018 Result published and is available under candidate login. Enter application number, password, security key to login and check result. 10:30 AM: In the examination for the MHT-CET-2018 exam, 16548 candidates secured 100 marks or 200 marks out of 200. The number was 12712 in the previous year. 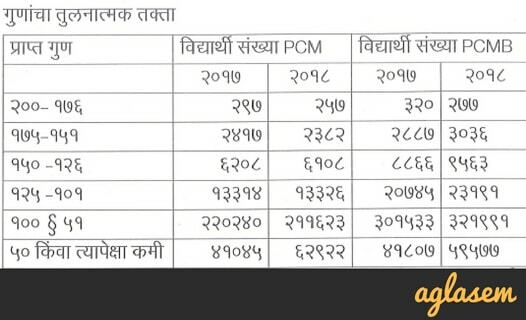 In the PCM category, 22844 candidates secured 100 marks or 200 marks out of 200, compared to 23078 in the previous year. 10 AM: Candidates who have appeared in Paper I (Mathematics), as well as Paper II (Physics and Chemistry), can seek admission to Engineering and Technology courses. Whereas those who have appeared in Paper II, as well as either Paper I or Paper III (Biology), can look for admission to Pharmacy / Pharm D on basis of MHT CET 2018 Result. B.Tech. (Food Technology). Whereas those who appeared for Paper II and Paper III are eligible for admission to B.Sc. (Honours) (Forestry) on basis of MHT CET 2018 Result. 09:00 AM: In the examination, 435606 candidates were registered in the State whereas 419408 students got direct examination. 08:30 AM: Some toppers have said that they will wait for result of Joint Entrance Examination Advanced to make a decision. IIT will announce JEE Advanced 2018 Result on June 10, 2018. 08:00 AM: Most toppers are looking forward to take admission in College of Engineering Pune and VJTI. Date Of Declaration Of MHT CET Result is June 3, 2018. 04:00 AM: The results are announced on June 3, 2018. As per information brochure, the result could have been announced before June 3, 2018, however as per press note released on Saturday, the final date for the result was decided to be June 3, 2018. Candidates can check result online. 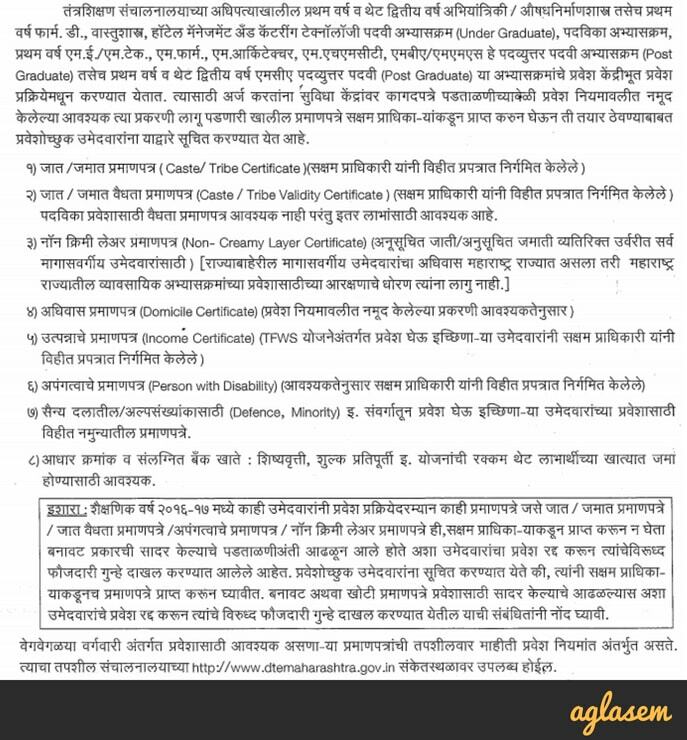 03:30 AM: Candidates must have documents prescribed by DTE Maharashtra for technical courses admissions on basis of MHT CET Result 2018. This includes caste certificate, validity certificate, domicile certificate, and other such documents. 03:00 AM: Maharashtra Common Entrance Test is a pre-requisite for engineering, pharmacy and agricultural courses. MHT CET 2018 was held 1260 examination centers in 36 districts of Maharashtra state. Based on the MHT CET Result 2018, admission is given to the first year of engineering courses, pharmacology courses and degree courses of Agricultural courses. 02:30 AM: All candidate candidates can view their results on their own login on the same day and download a score card. Candidates must keep the scorecard safely for counselling process. 02:00 AM: Entry process for all Degree courses will be started soon. Candidates should stay tuned to DTE Maharashtra website for counselling, cut off, merit list, and counselling registration. 01:30 AM: Maximum number of candidates of MHT CET 2018 are from Pune, followed closely by Mumbai. Number of candidates from Nagpur and Nashik are quite close to each other. Next in line are Amravati and Aurangabad. Sangli has number of candidates a little less than them. Least number of applicants are from Nanded. 01:15 AM: The total number of candidates who registered for CET was 435606. Number of candidates in MM group was 136140, those in BB group was 126284, those in MB group was 173182, and number of candidates in OMS was 19576. What to do if you have forgotten password? 01:00 AM: If you have forgotten password, then you can click on forgot password button. Enter application number, date of birth, mother’s name. Then hit the validate button. 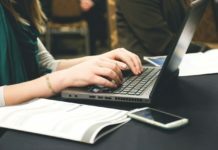 What to do if you have forgotten application number? 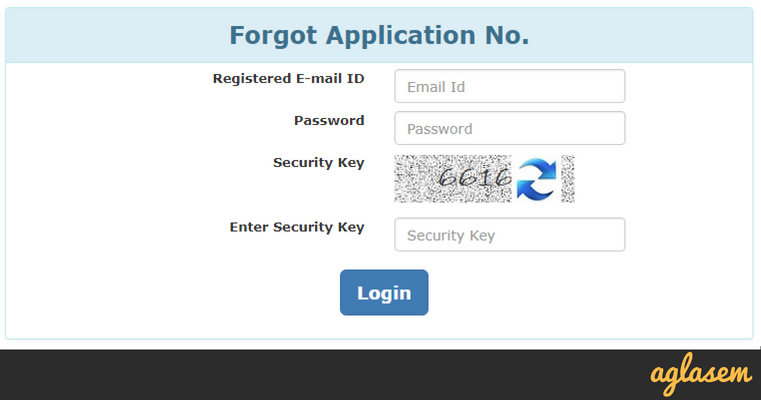 00:45 AM: If you have forgotten application number, then you can click on forgot application number button. Enter registered email ID, password, security key. Then hit the login button. 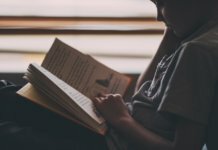 How to check MHT CET Result 2018? 00:25 AM: As soon as result is announced you can check it at official website dtemaharashtra.gov.in. In order to check MHT CET 2018 Result, you will have to log in. Enter application number and password. Then enter the security key. Hit the submit button. 11:55 PM: The exam was conducted at 36 districts in 1260 centres. The number of candidates who registered was 435606 and those who appeared was 419408. Read complete press note here. 11:50 PM: Result of Common Entrance Test indicates position of candidates in merit list on basis of marks obtained. Admission is offered to all students on basis of merit list in engineering, pharmacy, agricultural programs. 11:45 PM: DTE Maharashtra, through its press note confirms that result will be announced in online mode at June 3, 2018. Candidates need to login to check result and download score card. 11:40 PM: Although newspapers had reported today at 10:30 PM that result has been announced, however it is now clear that link to check MHT CET 2018 result is not yet available on website. Details of toppers only have been released along with other statistics through press note. 11:35 PM: Change has been observed in the number of candidates who are in top marks range. Here are actual numbers. 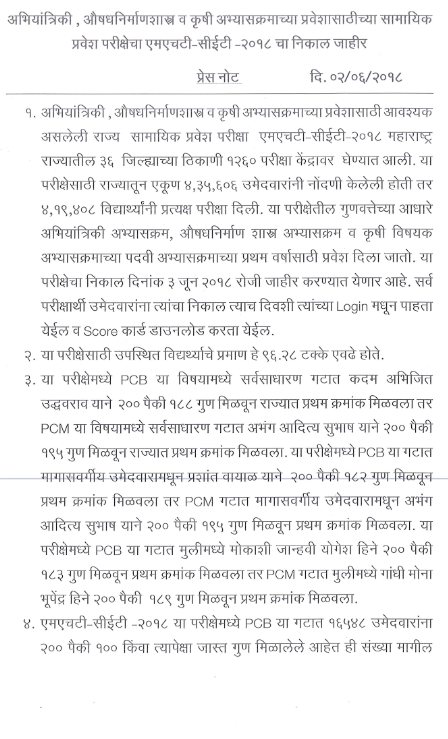 11:30 PM: A press note has been released regarding the result of Maharashtra Common Entrance Test. It says that the exam conducting body will upload result on June 3. 11:25 PM: Authorities publish result at official website of DTE Maharashtra which is dtemaharashtra.gov.in. Candidates can check it from here as soon as authorities upload it. 11:20 PM: DTE Maharashtra had conducted MHT CET 2018 on May 10. Its result has been announced today, on June 2. 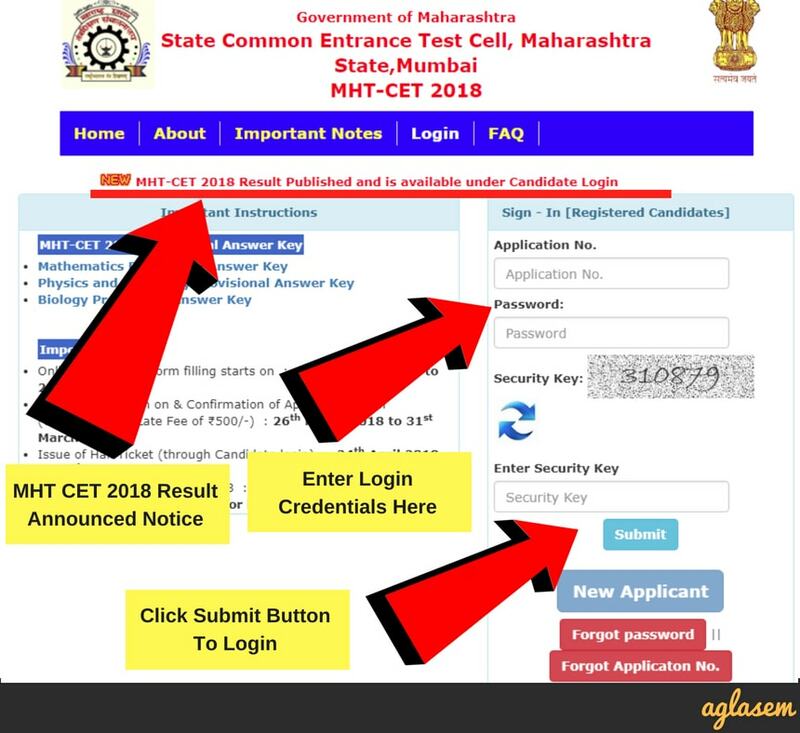 Candidates can check Maharashtra Common Entrance Test (CET) 2018 result at official website dtemaharashtra.gov.in. 11:15 PM: In MHT CET 2018 Result for PCM group, Mona Gandhi has secured the first rank among female test takers. She has got 189 marks out of 200. 11:10 PM: Jahnvi Joshi has topped MHT CET 2018 in PCB group among girl contenders. She secured 183 marks out of 200. 11:05 PM: Kadam Abhijit Uddhavrao has bagged rank 1 in MHT CET 2018 PCB group. He has obtained 188 out of 200. 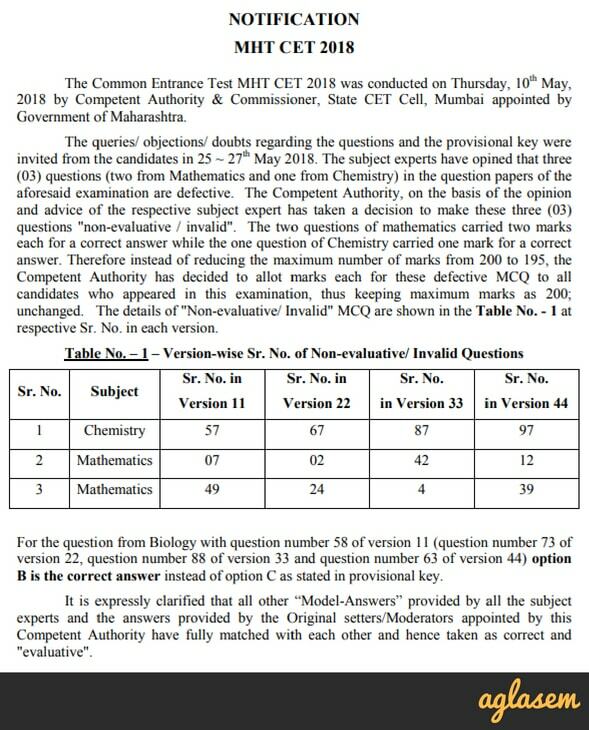 10:55 PM: As per revised answer key of MHT CET 2018, 2 questions in Mathematics (of 2 marks each) and 1 question in Chemistry (of 1 mark) were defective. They have therefore been marked as non-evaluative / invalid. All candidates have got bonus marks for these questions! 10:50 PM: Four candidates have got rank 2 as per MHT CET 2018 Result. Second rank holders are Ameya Dileep Zarkar, Rathi Khushal Vinod, Ruchirank, Vakharia Priyesh Rajesh. They have all obtained 191 marks. 10:45 PM: Abhang Aditya Subhash has topped MHT CET 2018 with 195 marks in PCM. 10:40 PM: Number of candidates who have scored more than 100 marks in PCM is 22,844. 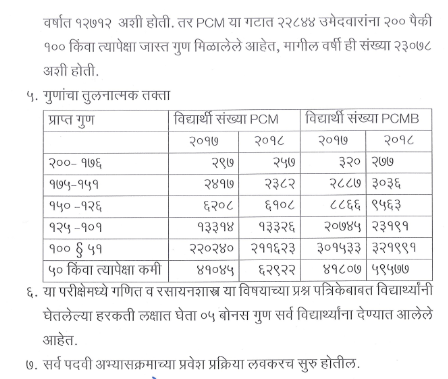 Last year, the number of candidates who scored more than 100 marks in PCM was 23,078. A dip of 1%. 10:35 PM: Number of candidates who have scored more than 100 marks in PCB is 16,548. Last year, the number of candidates who scored more than 100 marks in PCB was 12,712. A rise of 3%. MHT CET Result 2018: MHT CET 2018 Result Announced! 10:30 PM: DTE Maharashtra has announced MHT CET Result 2018. Newspapers have reported now that the result has been announced. There is no update yet on the official website. MHT CET is conducted every year for admission to various undergraduate programs in the state of Maharashtra. 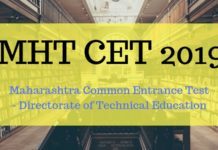 The Directorate of Technical Education (DTE) Maharashtra organizes MHT CET. Events around Maharashtra Common Entrance Test begin with release of application form and end with counselling leading to admission. Like this year, next year also exam will be held. Check out MHT CET 2019 for more details.